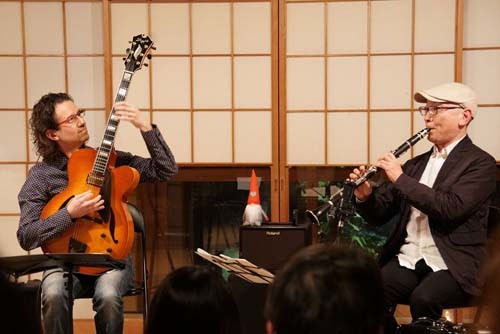 Fabio Bottazzo (born January 3, 1971) is an Italian jazz guitarist, composer and educator, based in Japan since 2004. Spending about twenty-seven years of his life, playing various genres and collaborating with musicians from many Countries, Fabio is always in search of exciting and grooving stuff. 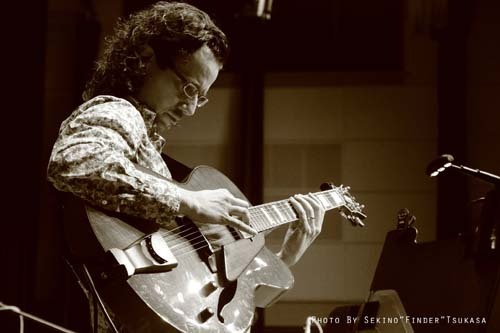 His delicate touch together with his very rare style of carrying the guitar, identify his unique and distinctive sound. 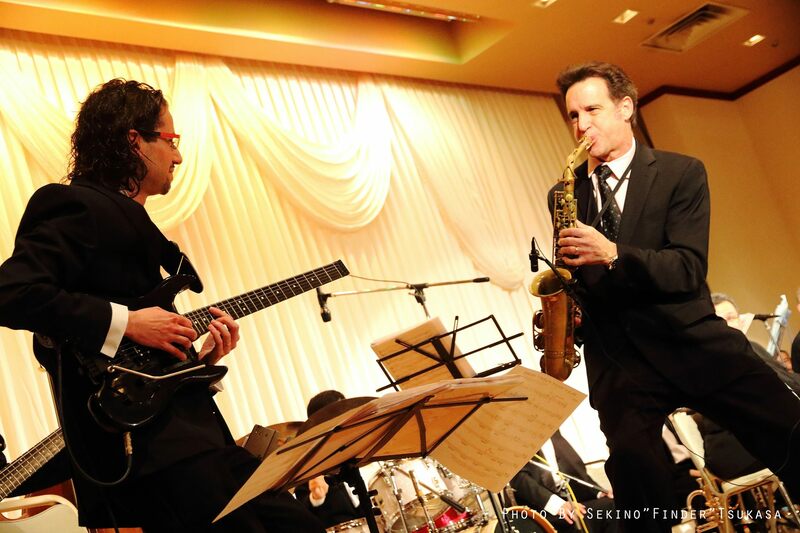 Playing in many situations, from small combo to big band, spanning from early swing to contemporary jazz style, he is always evolving with each new project while maintaining his particular voice. Track me on Bandsintown to know about events near your town. Playing some latin repertory with the "Niigata Yossy Big Band". Photo by Tsukasa "Finder" Sekino. 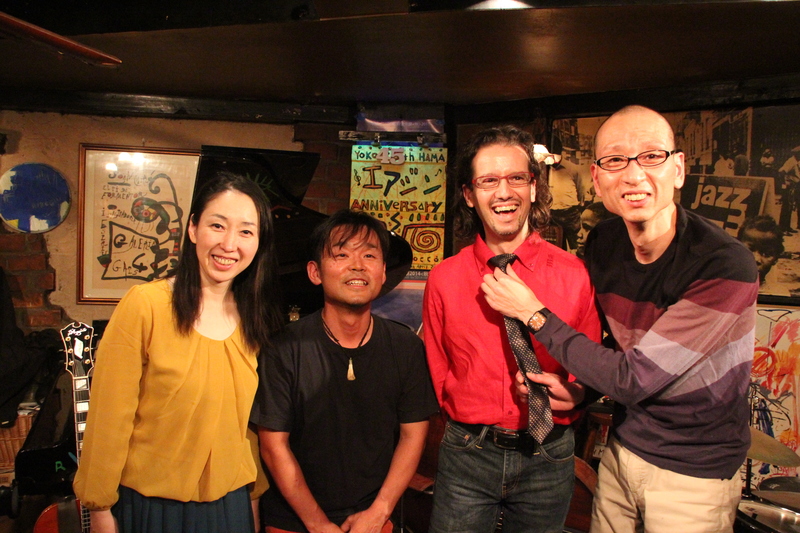 After a live gig at "Airegin" in Yokohama with "#11" band. 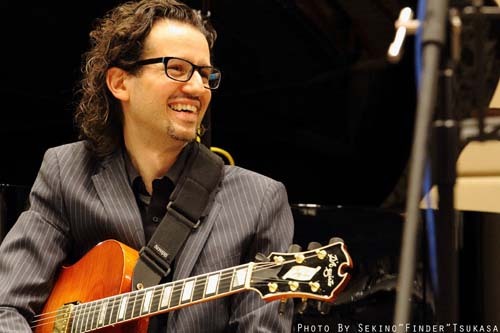 A jazz guitar, a suit and a smiling middle age man. 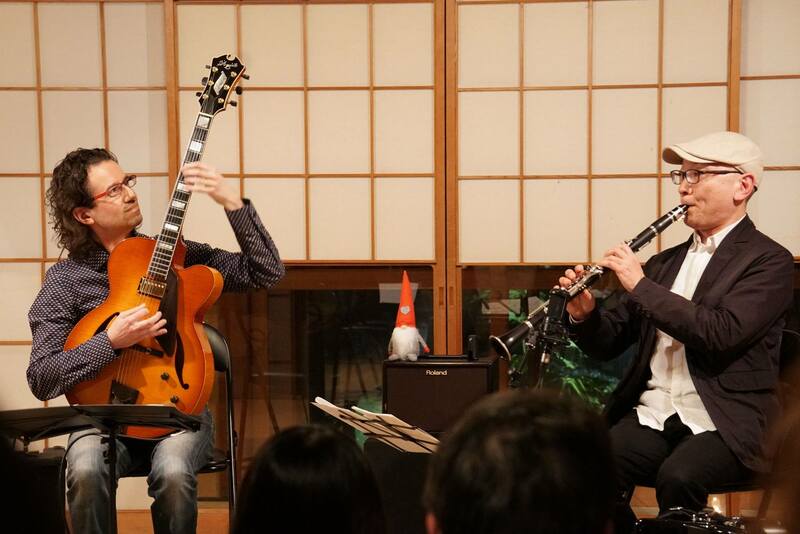 Nice live at a beautiful old style Japanese construction "Sakyukan" in Niigata city. Looks like I should be a climber, not a musician. 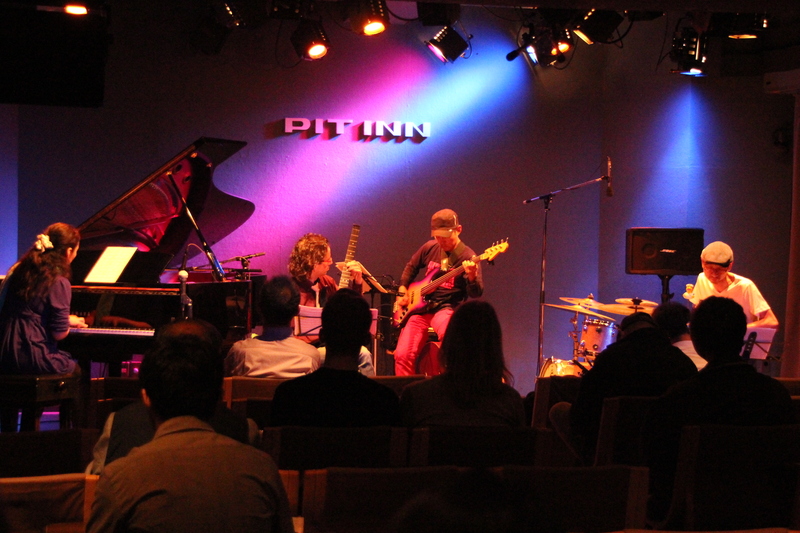 Playing at this nice venue in Tokyo with the "#11" band. 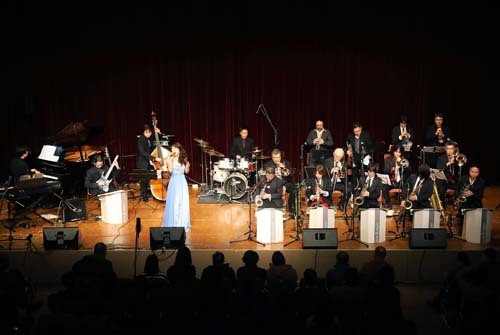 Playing with "Niigata Yossy Big Band". 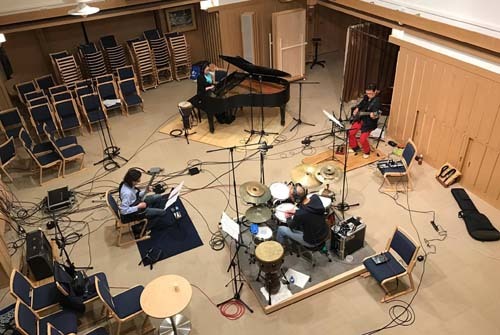 Recording our first album in a Japanese shrine in Tokyo with the "#11" band. Trombonist Bob Brookmeyer once said: "A Jazzman should be saying what he feels: humor, sadness, joy, all the things that humans have." And you, what do you want to say to me? Your message was sent, grazie!